The range of recipes in Plum allow you to put together a variety of elegant meals for yourself, your family or even a night of entertaining. 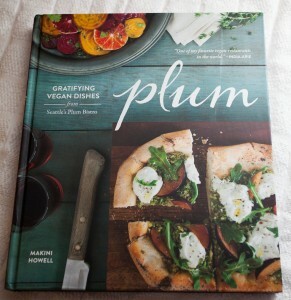 Peppered with beautiful color pictures and easy to follow instructions Plum is a great cookbook for novice cooks yet is creative enough to satisfy a more seasoned kitchen warrior. I happen to be on more of the novice side but was able to pick out a couple recipes to tackle. 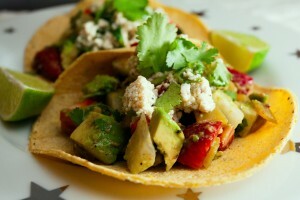 First was the Raw Tostadas with Spicy Strawberry Avocado Salad and Cilantro Relish. This raw, gluten-free dish far exceeded my expectations. The flavor combination was unexpected but worked so well together; the crunch of the jicama combined with the creamy nutty taste of the avocado and the sweetness of the strawberry tasted like a happy food party in my mouth! I plan on making this numerous times throughout the summer, it would be a huge hit at a potluck. The second recipe I attempted was the Everybody Dives-In Chocolate Chip Brownies. I was a bit wary of making these because they are soy & gluten-free and I have never baked anything GF before but once again I was pleasantly surprised. 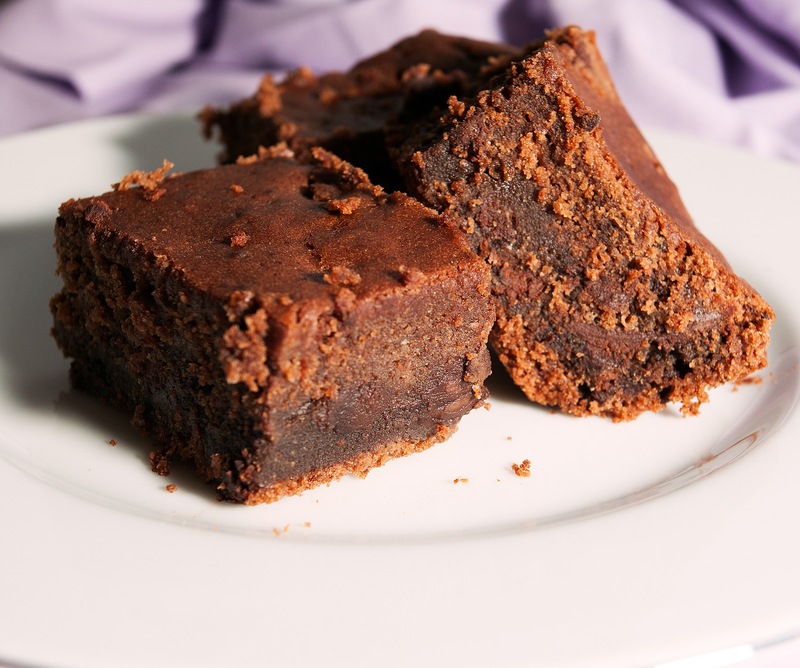 They were quick to put together and even though I ended up having to bake them for about twice as long as the recipe called for they came out moist and full of chocolatey goodness. I can definitely see how they got their well deserved name! I really love how each dish in Plum is clearly marked if it’s soy or gluten free, it makes life much easier for people with special dietary needs. My only criticism is that there are not enough pictures. For me, having a picture is half of what entices me to make a certain recipe so I love cookbooks that are chock full of them. Overall, I would recommend this book to vegans who are looking for a variety of delicious dishes.